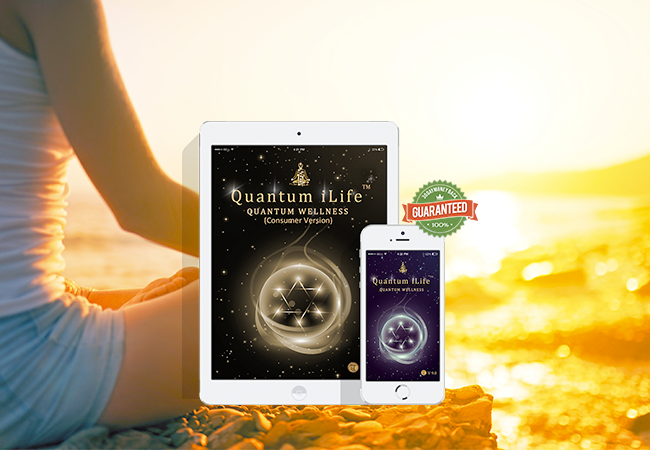 Lets discuss how quantum biofeedback works, lets shed some light on what it is real quick.... Quantum biofeedback is simply a treatment that creates electrical impulses of your body and aligns them. Each treatment is designed to target an area of your body and bring those electrical impulses to that targeted area into harmony. level of energy and the amount of chemical imbalances within the body. Quantum biofeedback was invented as a mixture of physics and biology. The idea of the system revolves around healing the body by improving the balance of the electromagnetic impulses your body fires. The treatments are great for adjusting your attitude which helps you heal simply by making you "feel" better. During biofeedback therapy your level of energy as well as the amount of chemical imbalances with the body are being scanned and then compared by normal scanned results. Ionized water is water with mineral ions in it. Water in its natural state is full of minerals. Once the minerals in water either gain or lose electrons the water then becomes ionized. De-ionized water has no minerals in it, such as: distilled water or reverse osmosis. De-ionized water is not in a natural state. Ionized alkaline water is also known as Electrolyzed Reduced Water ..... it has been shown in laboratory settings to reduce the effects of oxidation. Alkaline water has a PH level of 8-10 on a scale where as normal water has a PH of 6-7. Ionized acidic water is also known as Electrolyzed Oxidative Water. Oxidation - tap, bottled, carbon filtered, reverse osmosis, and distilled water -- test as "oxidizing" -- you know: theopposite of an antioxidant. Oxidation is the process of "rusting", or the browning of an apple, and -- in your body -- leads to the breakdown of cells. Oxidation has been shown to be the root cause of much degenerative disease. Alkaline ionized water has a negative charge because it has a surplus of electrons, which have a negative charge. Acidic ionized water has a positive charge because it lacks electrons. How is Ionized Water Made? Home water ionizers use a process called electrodialysis to ionize the minerals in water. The process makes both alkaline and acidic waters at the same time because it depends on a special membrane - called a Bipolar Exchange Membrane - which separates water into alkaline and acidic ionized water. In-Vitro means: In glass, such as a test tube. In vitro experiments are done in glass or plastic vessels in a laboratory. In vitro is the opposite of in vivo. This means this study was not done on humans.